This acclaimed, bestselling collection also contains the celebrated stories that inspired the Pedro Almodóvar film Julieta. Runaway is a book of extraordinary stories about love and its infinite betrayals and surprises, from the title story about a young woman who, though she thinks she wants to, is incapable of leaving her husband, to three stories about a woman named Juliet and the emotions that complicate the luster of her intimate relationships. 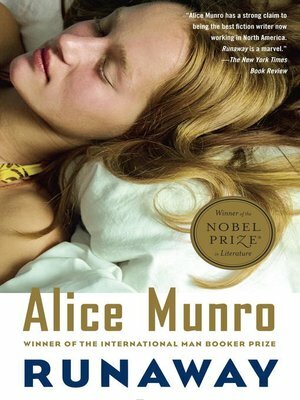 In Munro's hands, the people she writes about–women of all ages and circumstances, and their friends, lovers, parents, and children–become as vivid as our own neighbors. It is her miraculous gift to make these stories as real and unforgettable as our own.